Jewellery is the most important fashion accessory in a woman's wardrobe. If you're looking to adorn yourself from head to toe or are influenced by Brazilian fashion year-round, we have an impressive selection of all the latest trends from Latin America. 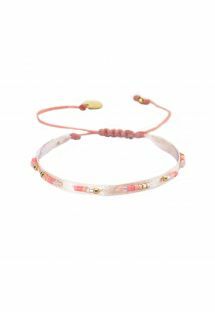 Browse our spectacular collection of bracelets, necklaces, and other fashion jewellery, where you are sure to find THE perfect piece that will complete your look and make all the difference. 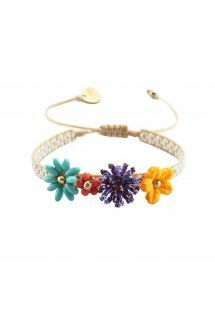 Beautiful bracelets, handcrafted pieces from Brazil, Colombia and other countries will add an exotic look to your summer outfit! Check out our amazing collection! Jewelry always adds some additional vibe to any outfit. Combined with a casual dress it may create a perfect cocktail look. 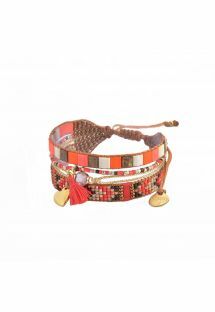 Our wide collection of South American style bracelets will be perfect for any occasion. The choice is amazing and the bracelets are beautifully made. Most of them is handmade and this is what makes them so unique. They are available almost in every color you can imagine and come in different styles. 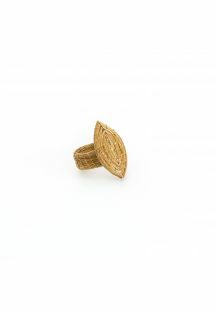 Some are decorated with beads, some are made of leather, you will find little shells and tassels, crystals, ethnic patterns. Some are generously decorated, other are more simple. On Brazilian Bikini Shop website you will find fine pieces from Hipanema, Mishky, Key Design or Joao Sebastiao. Some are bangle style, other you tie by making a knot or lock with a magnet. Magnets are very strong and bracelets do not open or fall down. 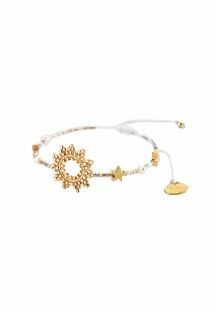 Buy one of our bracelets and get the summer vibe! 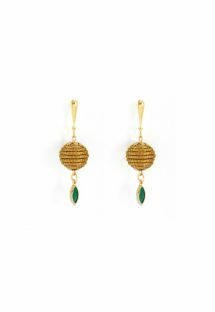 Beautiful earrings with a subtle ethnic vibe! Check out our collection that will take you for a faraway trip to Brazil or Colombia and feel beautiful as South American girls do! Earring have been decorating female’s ears since thousands of years and still they are not a bit less popular! 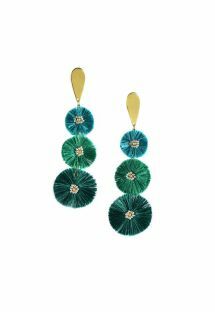 On Brazilian Bikini Shop website you will find earrings from South American designers. Unique pieces bring into mind ethnic origins of their culture. 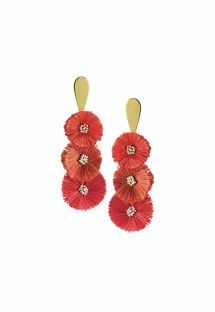 All the earrings are very feminine and stylish. They come golden or silver and very often decorated with feathers and beads. 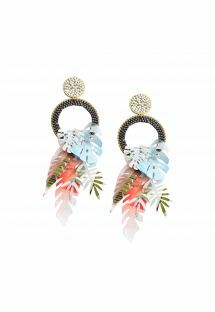 Nature is a popular theme in among earrings’ designers as people from South America feel close connection to it. You will also find models inspired by an ocean, beach or native origins. Among our models you will find models from Anni Jurgenson, Hipanema, Joao Sebastiao, Capim Dourado Jalapao, Mishky… We keep on developing our offer of earrings to satisfy your needs. No matter the designer or a model you choose you may be sure that your earrings will stand out in the crowd and attract attention. The fine quality will let you use them for long years! Check out our collection of outstanding South American necklaces! Decorate your cleavage with the unusual jewelry of top Brazilian and Colombian designers! Always on top, always hot trends – only in Brazilian Bikini Shop! Since always women around the world wore necklaces. It is believed they may have been one of the earliest types of adornment ever worn by humans. In the past necklaces often served as ceremonial, religious, magical or funerary purpose items. They were also often used as symbols of wealth and society status, as they used to be commonly made of precious metals and stones. 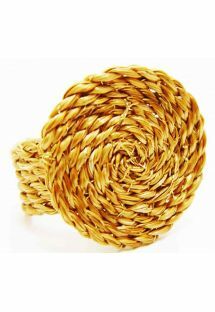 On Brazilian Bikini Shop website you will find a big variety of unusual necklaces in the collections of hot South American brands and designers. Similarly with other jewelry originating from that continent the main theme and decorations bring into mind either nature or its native past. No matter the color or pattern all the necklaces are very feminine, decorate flirtingly women’s cleavage and beautifully contrast with the summer tan. Mishky, Hipanema, Joao Sebastiao, Key Design and Batucada deliver their unique collection and we make it easily accessible for you! Anni Jürgenson began creating a line of accessories when she was a teen. The young teenager's Estonian roots enabled her to create unique items. 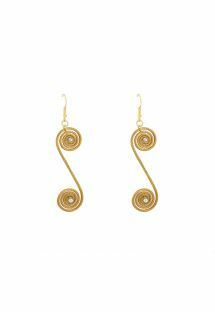 Eventually, she came up with the idea of designing the ear cuff, a piece of jewelry worn on the outer edge of the ear. Inspired by Native American traditions, her typical ear cuff includes colorful feathers dangling in full glory. Achieving rapid success, Anni's ear cuff line of unique jewelry sparked the attention of top models and publications focused on the latest fashion trends. Designing each jewelry with her special artistic temperament, Anni Jürgenson draws on personal experiences and relies on her own stylish perceptions. Even before leaving school, the young Estonian artist, Anni Jürgenson, had already designed a line of accessories and travelled the world as a model. Her grandmother introduced her to handicrafts when she was a very young child, and at the tender age of fourteen, she started to create her own accessories to stand out from her classmates. Things really took off when she created the ear cuff, her hallmark accessory that wraps itself around the ear. She draws her inspiration from the Native American Indian culture, which she finds fascinating, especially the Indian feathers that are worn as adornments. The ear cuff became an overnight success, and with her talent recognised, the ear cuff is to be seen on catwalks and in fashion magazines eager to cover the new trend. A promising designer, Anni continues to innovate according to her inspiration, ignoring the restraints of business managers and happy as an artist who designs at her own pace. Anni Jürgenson is a young Estonian artist known for her hallmark accessory, the ear cuff: a unique accessory that wraps itself around the ear and which has taken the fashion world by storm. 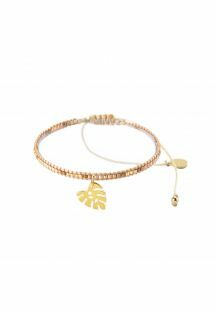 Inspired by jewelry and created by you, Flash Tattoos are the perfect way to show off your style and your gorgeous body. Use your creativity to mix and match different patterns and colors of Flash Tattoos. 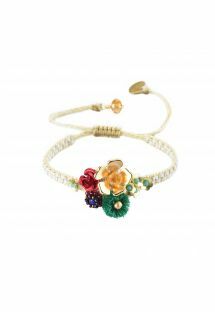 You can create an elaborate design on the side of your leg, wrap them in stylish Boho bands around your arms or put a small simple design on ankle. The sky is the limit with these eye-catching tattoos. Buy them for yourself to be unique, or buy a bunch to share with your friends. You can change your look every week with these non-permanent tattoos. They are safe and easy to remove. Show off your body with these fabulous temporary Flash Tattoos, and combine designs to come up with your own creations! Are you tired of wearing the same accessories as everyone else, whatever is trendy at the moment? Cufflinks, section collars, and knuckle rings don’t do it for you anymore, and you’re looking for an original alternative to make you shine? Dare to replace your real jewelry with temporary tattoos! Be assured, this is nothing for children, this are real jewels for the skin. 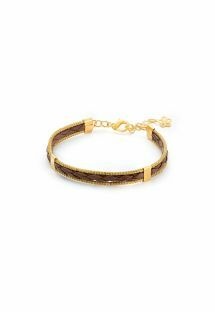 The gold and silver designs are chic, Eastern, rock, or romantic, and can be combined however you desire. And if you all have the same jewelry anyway, try tattoos and trick the eye! 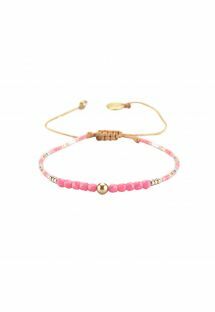 Handcrafted jewellery from Latin America, such as Brazilian style Hipanema bracelets, Mishky bracelets from Colombia, necklaces, rings, and other super trendy fashion jewellery that will add an exotic touch to your look. João Sebastião is a Brazilian accessories brand through and through. Our creations promote the country's culture, its beauty, the population's fun and intense lifestyle, and above all, the charm of the Brazilian woman. We are a team that prides itself on representing the 'Made in Brazil' trend. Crafted in an authorial way and 100% made-in-Brazil for Brazil and for the world without using irregular labour and ensuring all stages respect the environment. Each one of our collections is preceded by extensive research, in search of materials and suppliers suited to each theme and story told through our accessories, which are developed by hand, one by one, using quality raw materials, combining our designer's talent with craftspeople, plastic artists and innovation partners within the market. All with great care and affection so that the result can be materialised into exuberant, sophisticated and timeless pieces, fulfilling the role of expressing the confidence, personality and self-esteem of those who wear them. 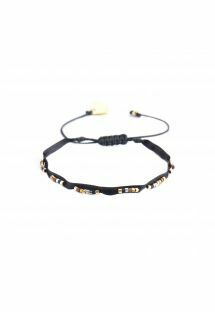 Wide offer of top man’s jewelry such as necklaces, bracelets and much more! Masculine fashion, top designs and trendy from South American designers. If you are looking for the perfect necklace or bracelet, you are probably wondering where you should turn so that you can locate something that stands out from the rest. Although you will find many products on the market, few have the quality, class and dependability of Key Design. The manufacturers have crafted each product to have a rare combination of ruggedness and sophistication. Donning one of these products will allow you to turn heads no matter where you go, and it will compliment almost any of the other accessories that you might want to wear. When you are among those who only settle for the best, Key Design is a brand that you won't want to overlook. On our website you will find men’s jewelry perfect for every occasion. 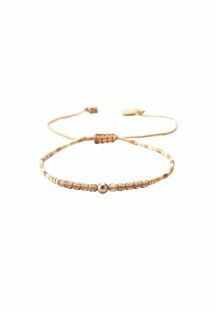 You may choose between bracelets and necklaces made from beads, straps and accessories. The materials use in the manufacturing process are: wood, leather, high quality steel etc. All models are very masculine and reflect latest trends in beach and men’s fashion. 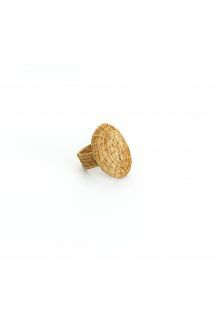 Key Design, Hipanema and other brands provide you with a great choice. Men’s jewelry becomes more and more popular and can be a perfect addition to any outfit. 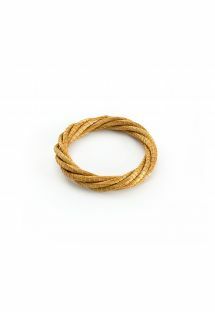 The men’s jewelry is especially worn in summer, when it can be actually visible. 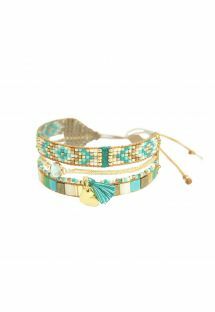 Leather straps bracelets look great with summer outfits, beach and pool parties. As the jewelry on Brazilian Bikini Shop is very elegant and of a highest quality you can actually wear it as well on every day basis. You can look comfortable and stylish and the same time. Check out our latest collection and newest pieces!